Laser-assisted hatching includes thinning the external layer of a lab-prepared embryo to increase the chances of implantation amid an in-vitro treatment (IVF) procedure. Assisted hatching happens before the foetus is extracted from the lab and planted into the uterus. What is the Purpose of LAH? Laser-assisted hatching is utilised to enable the embryo to come out of its thick external shell, the zona pellucida. Many times, the sperms and eggs fuse but the embryo doesn’t attach to the uterus because of a thick covering. LAH uses an intense infrared laser beam to remove the zona pellucida. Before the clinical accessibility of the lasers, mechanical or synthetic strategies were used to incubate the human foetuses in clinical settings. LAH is quicker than conventional techniques, and the embryo is not exposed to outside environment for a long time. Who is a Candidate for LAH? What Happens Amid LAH Procedure? A foetus develops from morula stage (fourth day after fertilisation) into blastocyst stage (the fifth day after treatment), at that point, an embryonic envelope (zona pellucida) is formed. On the fifth day, the embryo leaves its cover (incubating) and embed itself in the uterine lining. The problem occurs when the zona pellucida is thick enough to not to let the embryo out. The LAH is used to help an embryo break out of its shell. The goal of this process is to improve the chances of a successful pregnancy. The specialist focuses the laser beam towards the fertilised egg to disperse its zona. 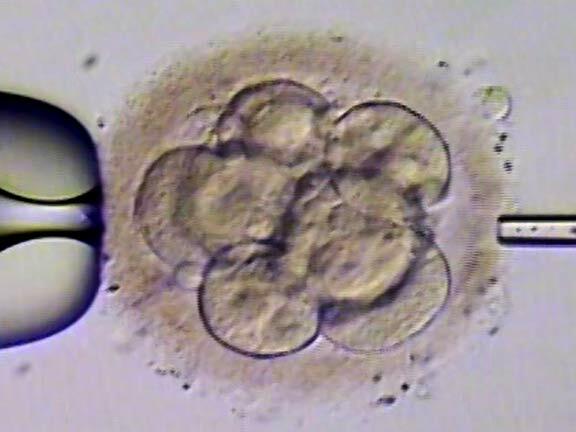 This process reduces the embryo's external later by 1/4 of its diameter, thus increasing the chances of conception. The whole technique is finished in a couple of milliseconds. Laser is centred around the zonapellucida to thin it down to around 10 microns. What are the Risks of LAH? The embryo may get damaged during the process. The embryo may divide itself in two. The risk of miscarriage is always present. The procedure may be costly.